Just completing a two-week tour of poverty in the United States, Philip Alston offered an assessment that was by turns sobering and alarming. Essentially alone among its peer states in the West, the United States, despite its wealth and advanced technology, has maintained a policy of prolonged indifference to conditions of poverty that is thwarting the advancement of millions of its citizens. Sometimes an outsider’s perspective can be helpful for a clear-eyed evaluation of a society’s weaknesses. Mr. Alston, an Australian, is the special rapporteur on extreme poverty and human rights for the U.N. Human Rights Office of the High Commissioner. “At the invitation of the federal government,” he said in a summary of the mission report, he had been asked to look at whether “the persistence of extreme poverty in America undermines the enjoyment of human rights by its citizens.” He reviewed the results of his investigation with the press in Washington on Dec. 15. The United States is thwarting the advancement of millions of its citizens, a UN rapporteur says. According to the most recent statistics from the U.S. Census Bureau, more than 40 million people—more than one in eight Americans—are living in poverty. Almost half of those, 18.5 million, are living in deep poverty, with reported family income below half of the poverty threshold. At the beginning of December, Alston’s U.N. team began a nationwide fact-finding mission, visiting pockets of poverty around the country in Alabama, California, Puerto Rico and West Virginia. Mr. Alston and his investigators spoke with local political and civic leaders about the conditions of U.S. poverty and the efficacy of anti-poverty efforts. Much of what he encountered came as a personal shock, he said, measured against the overall wealth of American society. More than 40 million people—more than one in eight Americans—are living in poverty. He encountered social conditions because of poverty that cannot be found in other advanced economies of the world, he said. Mr. Alston, surprised to discover that “hookworm in the 21st century” was a significant problem in the United States, marveled at a related phenomenon: the percentage of U.S. households that were responsible for maintaining their own water supplies and septic systems, as if ensuring safe water and sanitation were not an obligation of government. Though poverty rates have remained mired in the low teens for decades, Mr. Alston acknowledged that his U.N. mission had been called at an especially dramatic moment in U.S. political life. Not far from the site of his press conference, final discussions were taking place on a tax plan that could ultimately mean, U.S. bishops have warned, greater burdens on the poor through additional taxes and social service cuts even as it directs more wealth into the hands of the nation’s richest people. “For a country able to transfer a trillion dollars to its wealthiest not to be talking about taking care of basic health needs is stunning,” he said, arguing that the struggle to access adequate health care had become a crushing burden on U.S. poor—one not experienced by low-income individuals of many other societies. Ultimately the poor in the United States, he warned, are unable to significantly contribute to the political process or influence the policies that affect their lives. 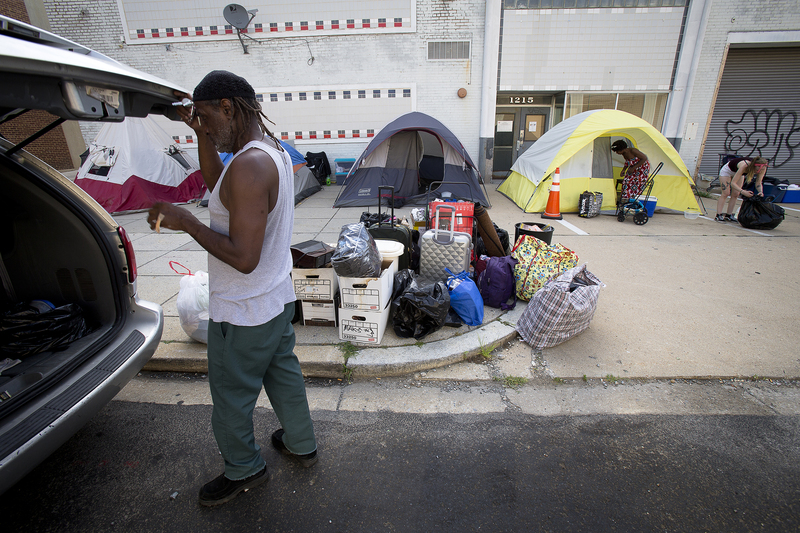 A criminalization of poverty through civil fines and penalties and harassment of the homeless, he argued, further exacerbates their disenfranchisement, as do more covert efforts like voter ID laws and the closing of voting facilities in low-income communities. The poor in the United States, he said, could easily be able to lead lives with dignity if minimal social commitments were met. “Surely it’s the obligation of a society to ensure basic goods,” he said, pointing out that the poor in America also struggle to get dental care and access mental health services, two other major obstacles to finding the jobs that could lift them out of poverty. The poor in the United States could easily be able to lead lives with dignity if minimal social commitments were met. But such community-based efforts, despite their energy and good intentions, are not enough to contend with larger social forces. In the report’s summary, Mr. Alston argues, “Successive administrations, including the present one, have determinedly rejected the idea that economic and social rights are full-fledged human rights, despite their clear recognition not only in key treaties that the U.S. has ratified…[but also] in the Universal Declaration of Human Rights which the U.S. has long insisted other countries must respect. “But denial does not eliminate responsibility, nor does it negate obligations,” he writes. International human rights law “recognizes a right to education, a right to healthcare, a right to social protection for those in need, and a right to an adequate standard of living. As a former long-time Democrat of more than 30 years (I'm 55) and moderate Republican, I agree that our government at all levels has a reasonable responsibility to combat poverty by formulating effective programs to assist poor people. However, I do think that individuals also have some responsibility in advancing their status. As a retired Special Education teacher, I believe that education is important to help people advance in life, so it would be worthwhile in my view if public education was better funded. I think the United Nations is an important body for the colloboration of the world's nations in many ways. However, it's unfortunate that it is an advocate of the most serious human rights violation, the legal killing of innocent unborn human beings by abortion. Eliminating poverty in the United States is a worthy goal, but we can never eliminate poverty when we keep importing it. Illegal immigration, chain migration, generous refugee programs, all combine to keep refreshing the supply of impoverished people. This is not the only cause of US poverty, but it is an important one. Interesting that the 2005 UN Study on Homelessness found that in Mr Alston's home country of Australia the rate of homelessness was almost 2 1/2 times the same rate in the U.S.
Further the Alston comments on comparative U.S. voter turnout do not comport with the actual statistics. First and foremost unlike the U.S. many developed countries have criminalized a failure to vote.....you are fined! Second , the bald statement that the U.S. has the lowest voting rate of any developed country is definitely misleading in as much as the voting rates in countries such as Canada,Japan and Switzerland are approximately the same or lower. (See Followmyvote.com /Chart on comparative voting rates by country) The countries with high voting rates seem to tend to be those with multiple political parties where parliamentary seats of even very minor parties can tilt the balance of government control. In addition one must take with a dose of salt Mr Alston's comment:...."we see overt efforts to disenfranchise people". This comment is based on Alston's two week tour of three states and Puerto Rico!! I am not even sure that alleged disenfranchisement has ever been raised in the places he visited....one of which was California/losAngeles! the O.E. C. D. Countries" are equally misleading. Howard Steven Friedman, a statistician for the U.N. Group producing these statistics, has noted that because of the huge positive disparity in U.S. Wealth as compared to the other O.E.C. D. Countries that the U.S. mean poverty line is disproportionately inflated. In an article published in the Huffington Post he concludes that the statistic used by Alston is really a measure of comparative Wealth Disparity/inequality rather than comparative poverty. None of this is to say that there are not serious problems in the U.S. that need to be addressed. But either Mr. Alston came with preprepared conclusions or his two week tour and one week of analysis following that tour represent a rather remarkable statistical and intellectual accomplishment. The article, and more particularly the summary of the mission report, invite much thought. I was glad to see the comment, “The reality is that there are 8 million more poor Whites than there are Blacks…The face of poverty in America is not only Black or Hispanic but also White, Asian, and many other colors.” That reality should inform our policies. There are some errors, as others have pointed out. But the visitor also completely neglected our biggest problem: our country’s pitifully high rate of functional illiteracy. The OECD and our own federal Department of Education have for years shown high correlations between low literacy skills and poverty, chronic dependence on state support, and other problems. The failure to detect and criticize this problem, and call for alternative systems to be made available to those in low-income areas, is remarkable and unfortunate. Literacy is a fundamental need. “…basic education is the first objective for any nation seeking to develop itself. Lack of education is as serious as lack of food; the illiterate is a starved spirit. When someone learns how to read and write, he can progress along with others…literacy is the first and most basic tool for personal enrichment and social integration; and it is society’s most valuable tool for furthering development and economic progress.” (Populorum Progressio, 35). Our visitor criticizes the U.S. regarding Puerto Rico's status, “what is clear is…that the U.S. Congress is happy to leave them in no man’s land.” He fails to note that in the results of five referenda, the citizens of Puerto Rico have been, as the NY Times reports, https://www.nytimes.com/2017/06/11/us/puerto-ricans-vote-on-the-question-of-statehood.html?_r=0, less than clear in expressing their desires. And in the most recent referendum, taken before the devastating hurricane, only 23% voted. Put simply, do the citizens of Puerto Rico want statehood, or some other representation (a la D.C.) or, as was a choice in one of their referenda “none of the above”? Our visitor might explore in more depth the history of U.S. relations with territories, which have included independence, in the cases of Philippines and Cuba. Perhaps the final report will be more accurate than the summary.